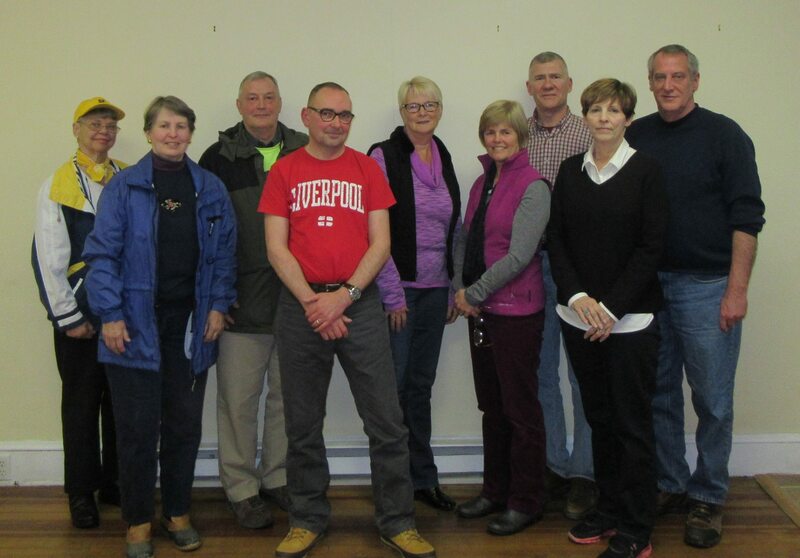 Volunteer guides for the new Historic Tunkhannock Walking Tour met on April 7 to discuss the logistics of leading groups of tour-goers through the borough beginning June 25. Safety, voice projection, and keeping the tour on schedule were among the topics covered. The roster of guides currently includes (above, from left) Geri Lynn Vaskas, Sarah Carr, Bob Boyce, Rich Jones, Dianne Rosengrant, Kathi Keefe, Rick Hiduk, Sandy Viesczorek, Greg Spencer, and (not pictured) Beth Romanski. Additional tour guides are sought. Those interested should contact Hiduk at 570-833-8056.